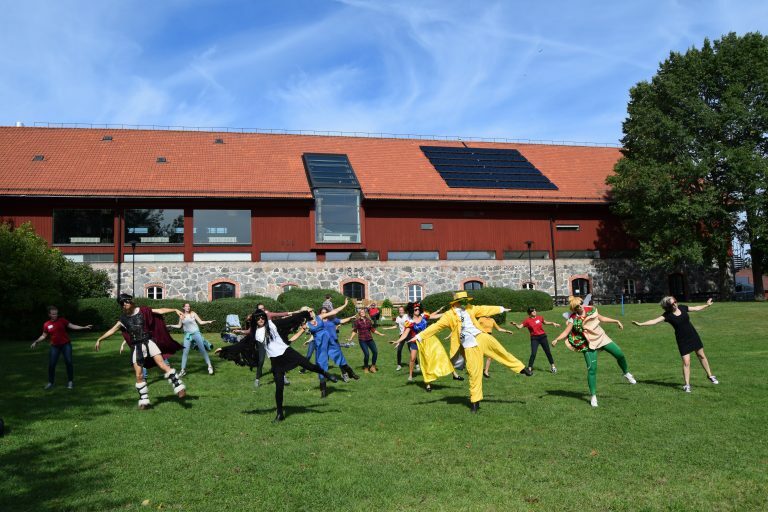 At the start of the semester the Ultuna Student Union organizes activities for the new students to get to know each other. 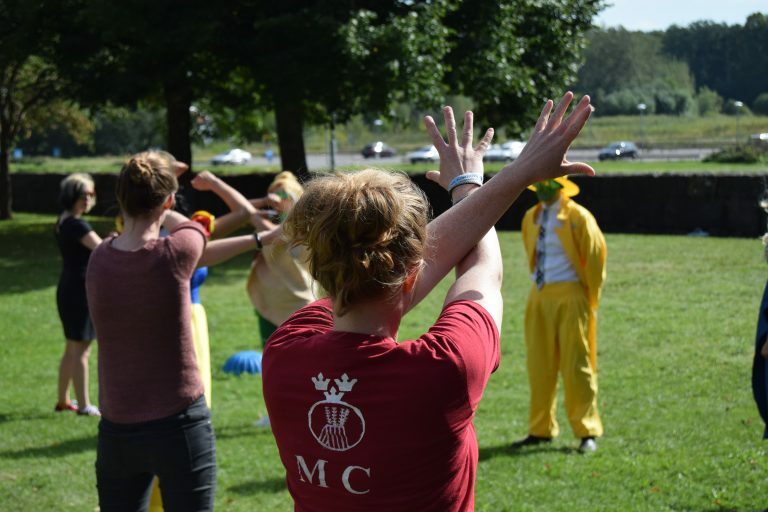 There are activities in Swedish for the new bachelor students and a (partly) separate programme for the exchange and master students in English. As I enjoyed these activities a lot last year I was really happy to help out organizing them this year and took part in one of the organizing committees. It can be difficult to move to a place where you don’t know anyone and I think during these activities a lot of new friendships are made. 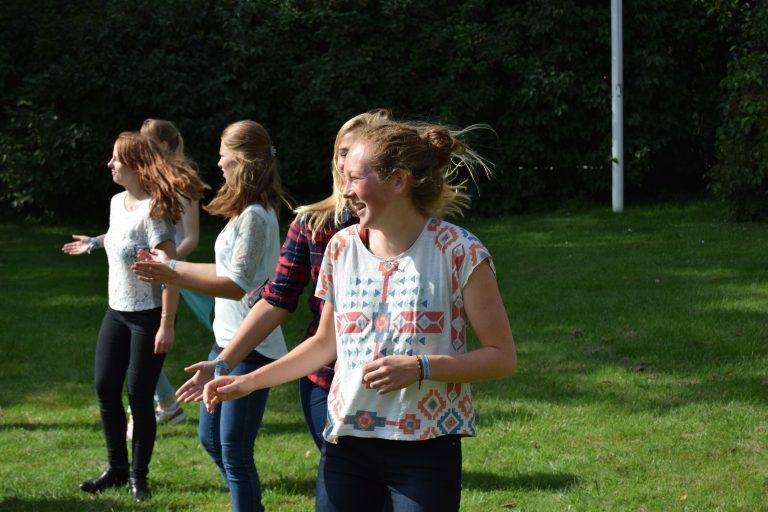 Outdoors crazy dance class, we were really lucky with the weather! The programme consists off a wide range of activities. A few formal moments, but mainly lots of bbqs, picnics and games to just enjoy an easy afternoon after a day full of classes. 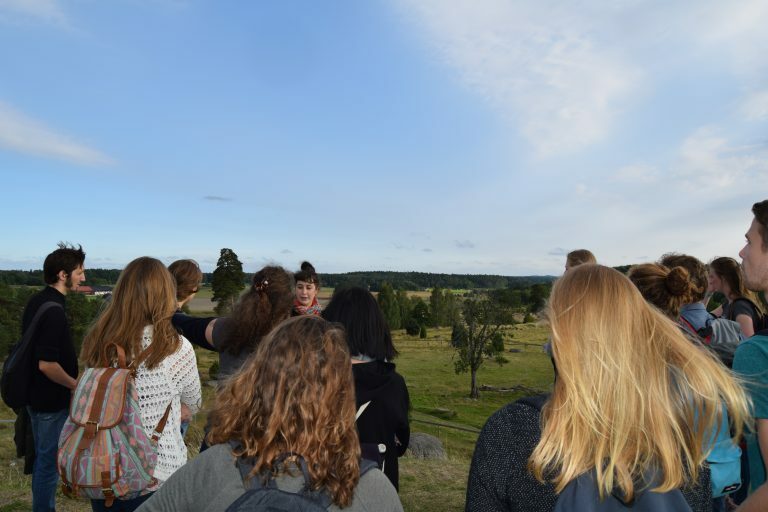 Besides that there are more special activities to get to know Uppsala and the campus better, such as a historical tour and visit to the nations. 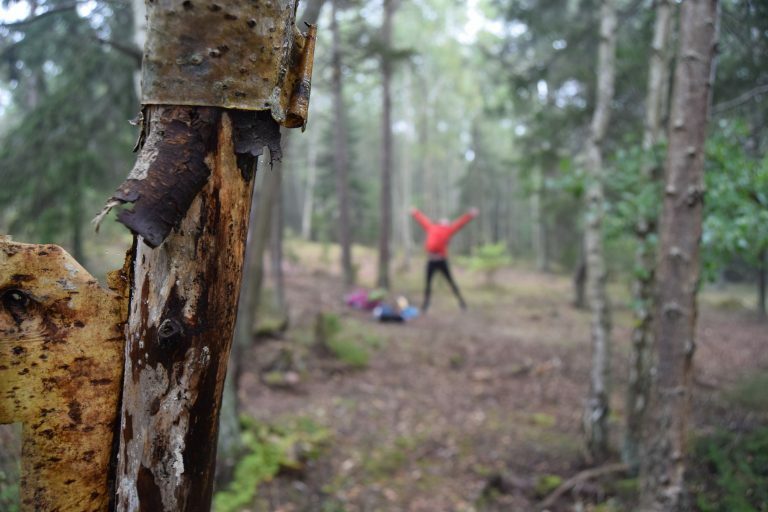 And then there are more ‘active’ days with a dance class to learn some funny, crazy dance and a hike into the forest. I think the forest hike is my favourite part, even though we seem to get lost every year! In general everything is pretty laid-back and very gezellig – a Dutch expression I wish I could translate, but unfortunately cosy does not really cover it. I was thinking it could be nice to start a small series of places worth a visit in and around Uppsala. After all, the place where you are going to live can be an important factor when choosing a studies abroad. I knew very little about Uppsala – and actually about Sweden in general – but found myself very lucky with this cosy, vibrant student town, surrounded by beautiful nature. So once in a while I will give you a small impression about my favourite spots. Starting with this beautiful lake, or should I say, sea? Ekoln is the most Northern part of lake Mälaren, which is the third biggest lake of Sweden. 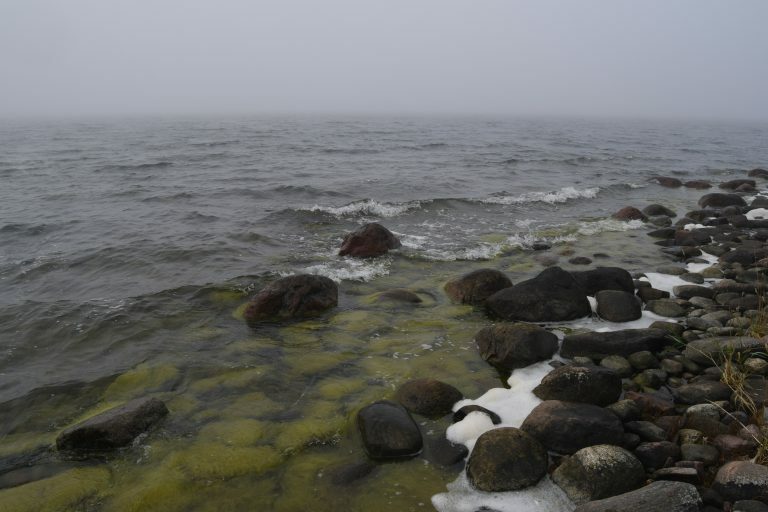 And actually, you might question if you can really call it a lake, as it is directly connected to the sea. In theory you could kayak all the way from this lake to Stockholm, on to the Baltic. Might take a few days though! Ekoln is located about 10 km southwards of Uppsala city, but only 3 km away from our campus Ultuna. This makes it a perfect place to go for a hike or picnic in the weekend, or just to clear your mind after a busy day at university. Though in summer it can get really crowded, during the rest of the year you will find it peacefully quiet around here. There are several activities to do in and around the lake. But beware that most of them are only open in the summer season. Unfortunately we found ourself in front of a closed kayak rental the other day, so beware! Next to renting kayaks you can also rent little boats, there are several nice swimming areas and there is an outdoor climbing facility. 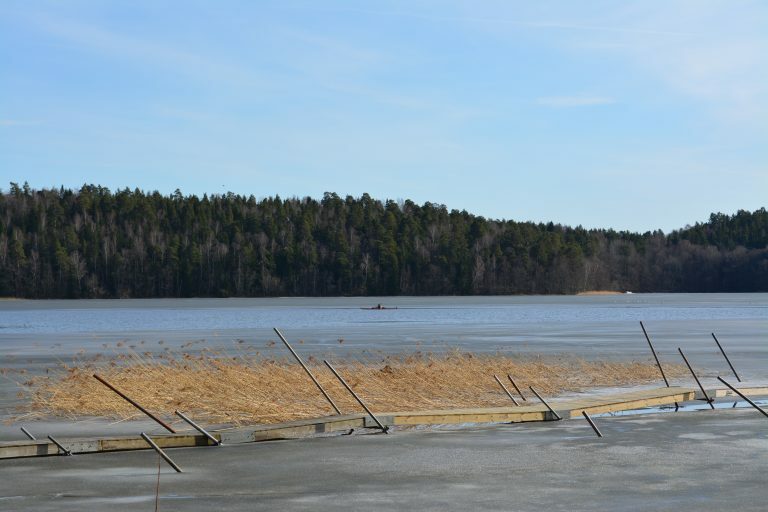 In summertime there are possibilities for windsurfing whereas in winter ice-skates are rented out in case the lake is fully frozen. To get to the lake you can either hike, bike or take a bus (to Sunnersta). 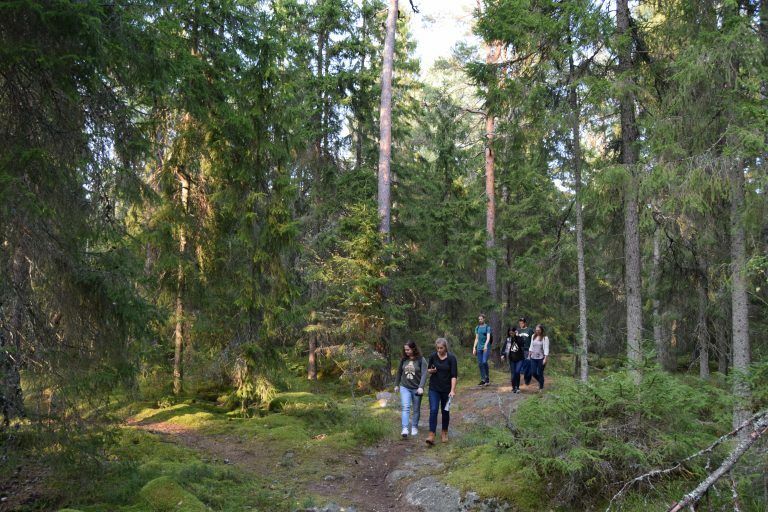 If you are hiking or biking, there is a beautiful path going along the Fyrisån river which you can follow from Uppsala southwards. You simply can’t get lost, or you’d have to try really hard, haha. In a next post in this ‘mini-series’ I would like to tell you more about Fyrisån river and the special traditions around it. Feel free to question or comment below. 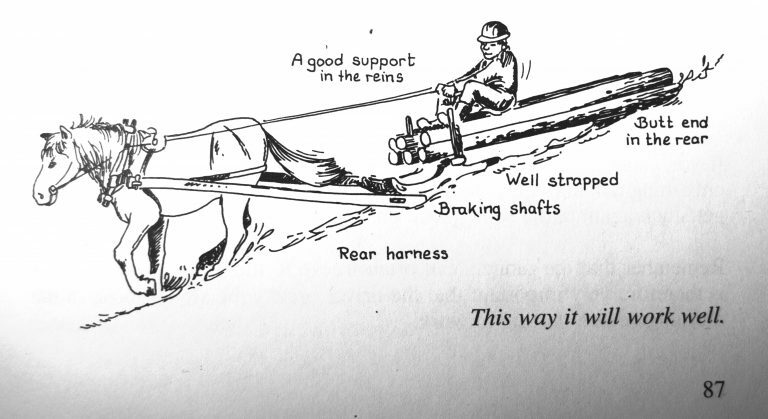 Allright, another post dedicated to the horse-course. As you may have noticed, I am enjoying almost every moment of this course and I am wondering whether I maybe should try to ask less questions during class – my classmates might grow tired of it. It’s just all so interesting! 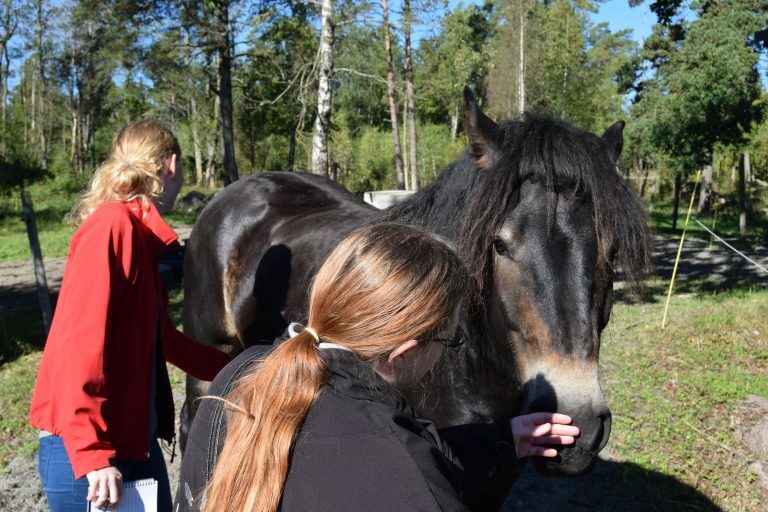 Last week we had classes about the ‘Molecular advances in the horse genome’ by researcher Sofia Mikko and to make a long story short, we talked about genetics. What is heritable and what is not? And if something is actually heritable, to what extent? One thing that is totally defined by genes is the coat colour of horses. We see horses in so many different type of colouring that I thought this would be an extremely difficult topic. However, it is not that bad, or at least the basics are quite straight forward. In fact there are only two main coat colours: Black and red(chestnut). Say what? Let me explain this further. There is one gene that decides whether the horse is forming black(dominant) or red(recessive) pigments. And then there are a lot of other genes that can affect this main colour. For example there are genes for diluted versions of the colour and genes causing white patterns and spots. These genes interact with the original genes that are responsible for the black or red colouring. One of the most common is the so called ‘Agouti’ gene. This one interacts with horses that have the gene to be black, making the body partly brown. And that is how the bay horse is created… It might sound a bit strange, but if you think about it, a bay horse still always has black mane, tail and legs. If the horse is red this gene does not express itself, but the horse will be a carrier. My beautiful horse Jarl, a bay Icelandic. 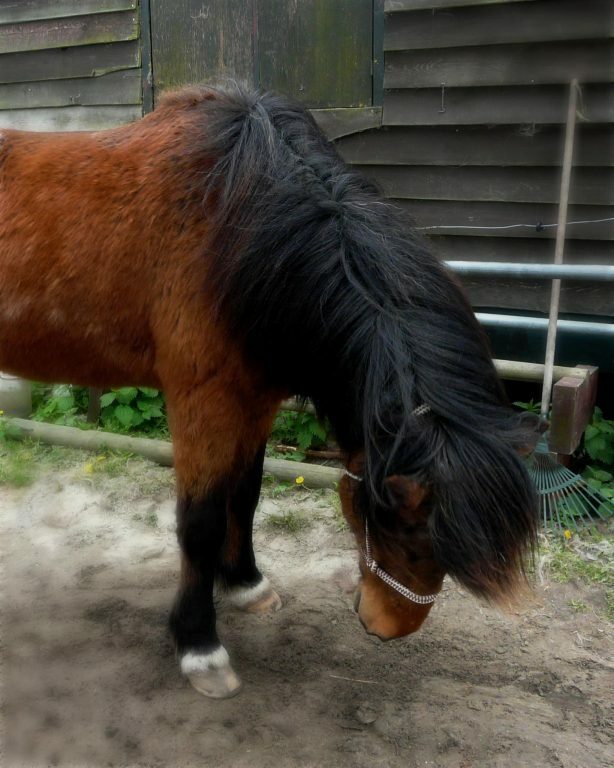 Note that not only his mane and legs are black, but also the tips of his ears. These (together with his tail and nose) are the parts not affected by the agouti gene and express the normal black pigment. Another famous one is the gene responsible for the grey colouring. You may be aware that a grey horse is actually never born grey. It can be born any colour and turns gradually white over the years. The gene for this to happen is dominant, meaning that a not-grey horse will never be parent to a grey foal. Fun fact: A horse that is homozygous for the grey gene turns white faster compared to a heterozygous grey horse. However, there are also ‘not so fun’ remarks towards this colour. Sadly enough the grey colour – especially the homozygous one – is associated with melanoma(skin cancer) and vitiligo(a pigment related skin condition). 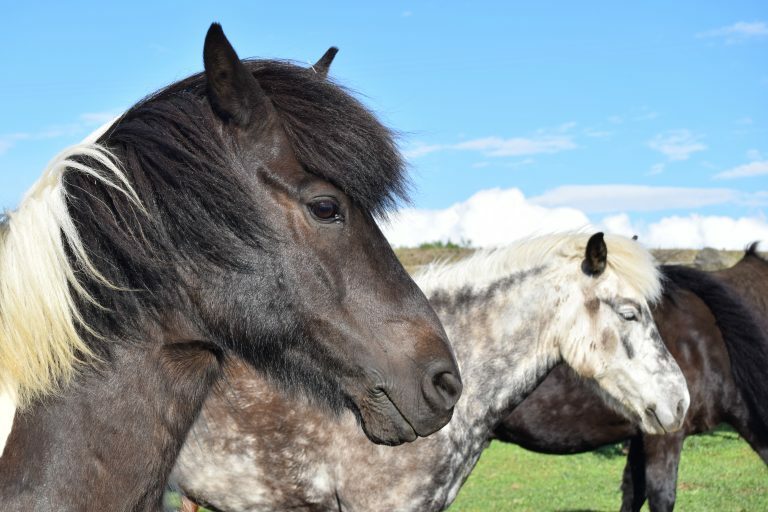 Three Icelandic horses that are all genetically black in their basic genes. In the front Ægir(black with white spotted markings), behind him Kveikur(black with a gene for grey) and behind him a totally black horse. So you have horses in all types, breeds, and… colours. Which is nice, I mean, lots of those unique colouring patterns are kind of special and I think that to some extent it can be nice to breed for a specific colour that may be rare. However, there are quite some special colours associated with hereditary diseases. And I wonder how many people are aware of that when they are looking for a horse. Or even more important, are they aware of it when they are going to breed with such a horse? For example the beautiful silver dapple colour comes together with abnormalities in the horse’s eye (better known as MCOA). A heterozygous silver dapple horse has increased chances of having cysts in the eye, which may cause vision problems at older age. Though homozygous silver dapple horses are much more likely to develop severe eye problems already from a young age, such as cysts, deformed pupils and vision defects. Therefore crossing a silver dapple with another silver dapple should be avoided for the sake of the horse’s health. Unfortunately some people seem to value aesthetics more than anything else… Meaning to say that in several breeds people aim for some special colour, even though some of these are known to be associated with lethal genes. In other words; having the wrong combination of genes is deadly for the offspring. A famous example of this is the special type of spotting called overo in paint horses, which comes together with the Overo Lethal White Syndrome (OLWS). 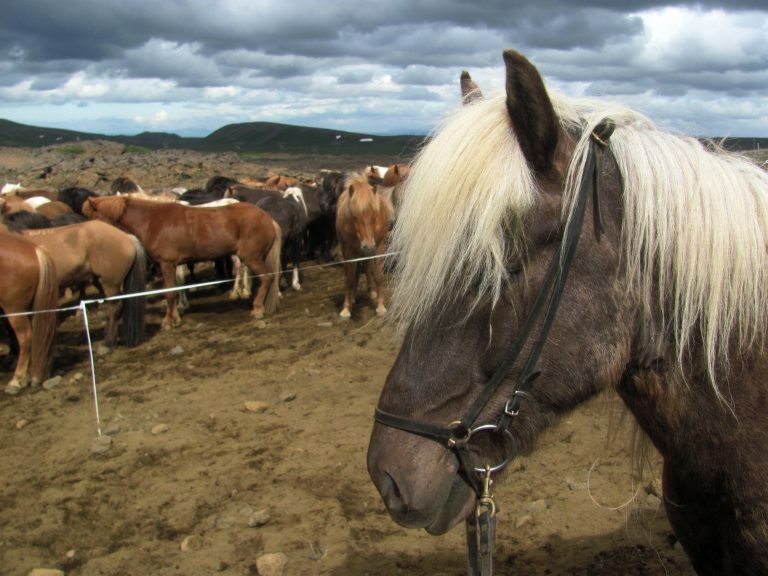 The stunning Heimdalur, an Icelandic silver dapple gelding, in front of a herd of more Icelandic horses. A generally known saying in Iceland states that ‘a good horse has no colour‘, and I think it would be good for some groups of breeders to think about that a little more when choosing a stallion. If you have any questions or opinion on this, feel free to leave a reply. As you may know I am currently following the course ‘The Use and Biology of the Horse’. This week we’ve had several fascinating lectures, the days were long, but satisfying 🙂 Monday we started off with a class at the Swedish National Veterinary Institute (SVA) about parasites in horses, given by researcher Giulio Grandi. The lecture was built up in different blocks; what parasites exist in horses, how to recognize infection and how to control parasites. And after the lecture we were invited to have a look at the lab. I don’t want to go into nasty details about how exactly parasites damage a horse from the inside, but trust me when I say that some of these little creatures can be extremely harmful. Up to this day 41 different species of parasites have been described in the horse, however about ten species seem to be dominating and we don’t know why (yet?). Most parasites are very well adapted and some species’ eggs will survive even when it’s freezing, meaning pastures can stay infected for several years. One of the parts that intrigued me most is about the control of parasites. Dr. Grandi told us that eradication of parasites seems impossible – we should accept that parasites will always be there. Management with the aim to protect horses from the negative effects is the way to go. And let it be clear: Control of parasites is not the same as deworming. Studies from England have shown that removal of faeces from pasture twice a week during summer is actually more effective than deworming. Though egg counts combined with selective deworming seems to gain popularity, it wasn’t that long ago that preventive deworming every 6-8 weeks was common practice. And as the ‘newest’ anthelmintic drugs were developed in the eighties, it is not strange that anthelmintic resistance has become such an issue these days. This resistance is even more problematic as in poor countries these same drugs are relied on for human parasite control. I could keep talking about parasites for another hour, but it was my intention to try to make my posts a little shorter. However if you have any thoughts on the subject, please leave a reply. And finally here a few photos from the lab (with permission). As they were made with my phone maybe not the best quality, but just to give you a small impression. 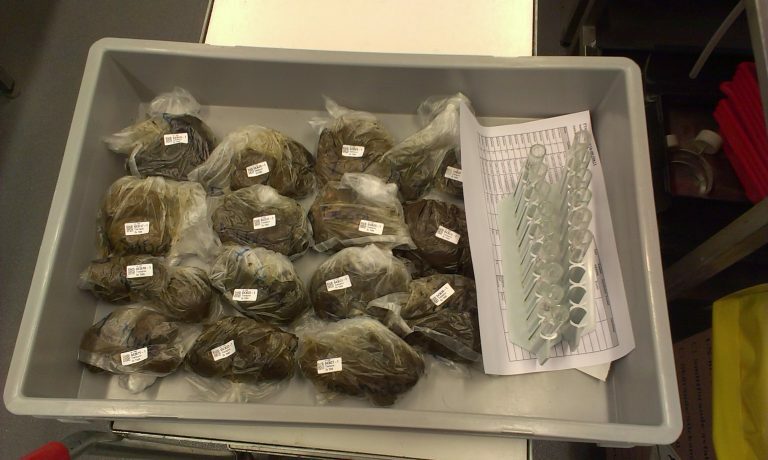 Upper left: Incoming faecal samples. 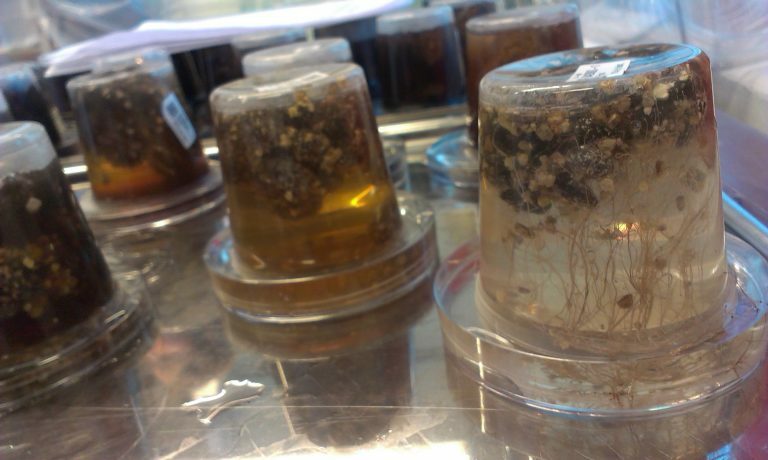 Upper right: Besides egg counts there are several tests to analyse the type and degree of infection even further. I think this was a larval culture. 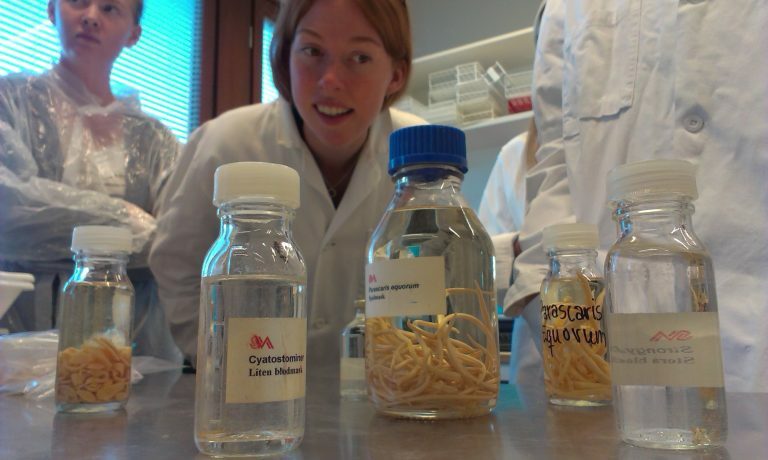 Under: My classmate Astrid taking a closer look at the actual (preserved) parasites. You may be aware that alcohol is extremely expensive in Scandinavia due to taxes. This means that a bottle of cheap wine can not be found under let’s say €6, not to speak about stronger spirits. However, there are a few loopholes. Most of you may know that airports have a duty free section, but did you know that you can also buy booze duty free on boats in between countries? 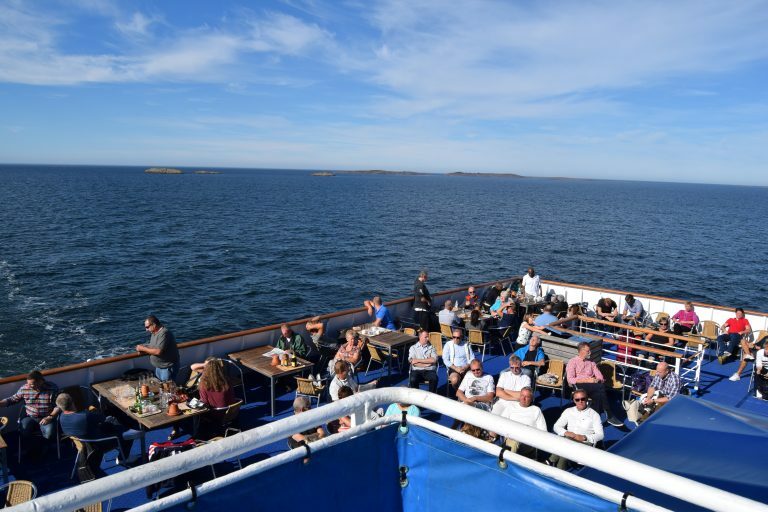 As a consequence there is a big market in ferry-transfers over the Baltic sea, where people drink and buy a lot of drinks. Quite some people go on these ‘booze-cruises’ without actually visiting the place they are going to, or only for a few hours, just for the sake of buying cheap alcohol. These cruise-companies face strong competition and are therefore extremely affordable. Have you ever heard of Åland? Me neither, until last weekend. 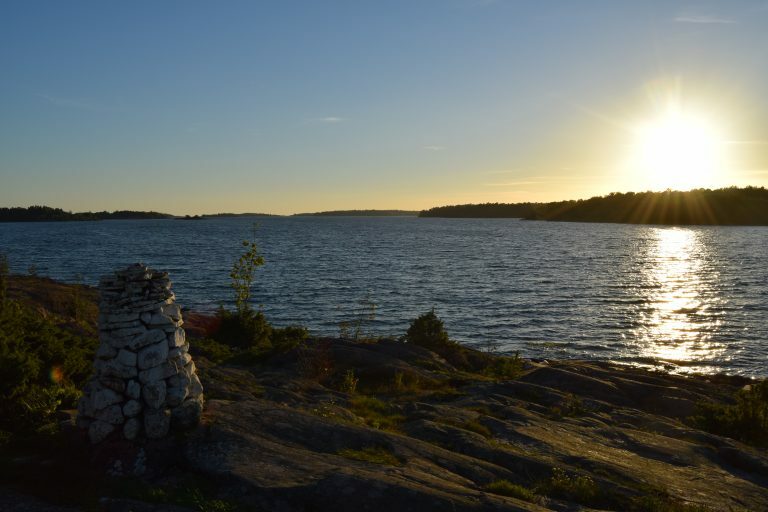 This beautiful group of islands belongs to Finland and even though it lays in the middle of the Baltic, the journey towards it costs only a little more than a bus ticket to university. And it is STUNNING! Together with my friend Caitlin I spent two wonderful days hiking around. We were extremely lucky with the weather, from the moment we were on deck of the ferry enjoying the sun it felt like instant holidays. 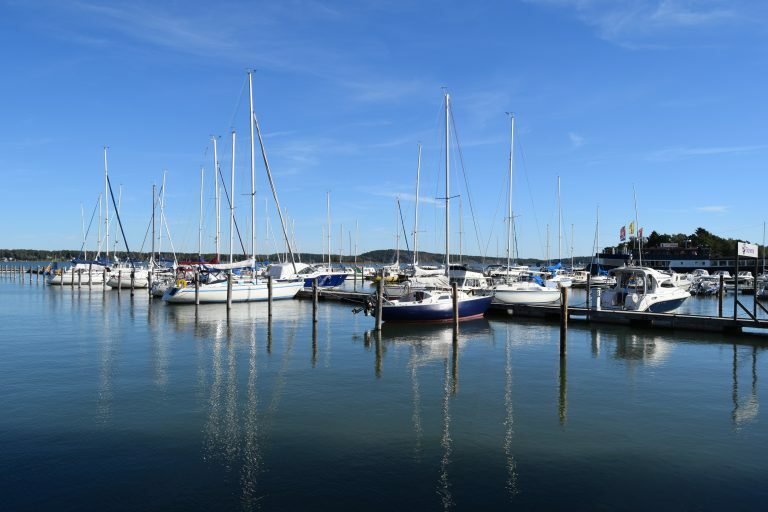 After a bus, a boat and a bus we arrived in the capital of Åland named Mariehamn, where we had planned to first pay a visit to the tourist information centre. We weren’t really sure which route we wanted to hike and thought going partly by bus, bike or kayak could be nice options. However, after August the whole place sort of closes down. Not only the bike rental closed the first of september, the tourist information wasn’t open during weekends. Buses didn’t go anymore because of the ‘winter schedule’. Pffft. We were definitely taken by surprise and asked a guy who worked in a sports store which way he thought would be nicest to go – and that direction we went. 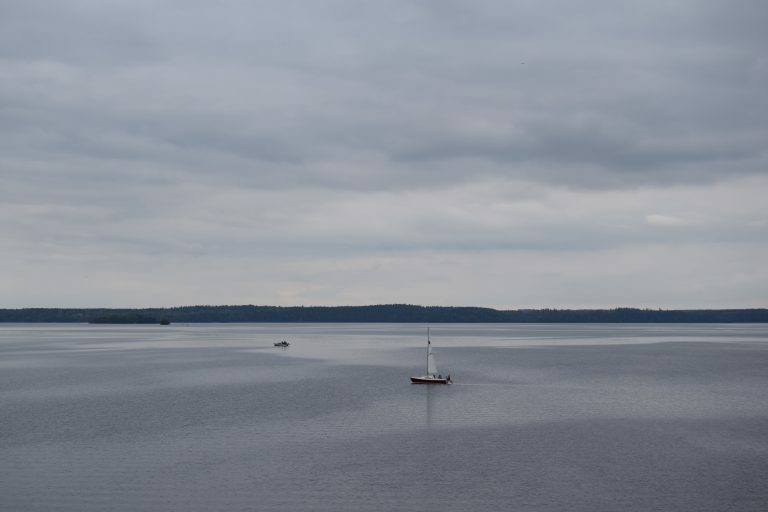 From Mariehamn we hiked southwards. The hike out of town lead along nice beaches and some forestry areas. After hiking for an hour or something we took a break at a really nice spot along the waterside and went for a swim. One word: refreshing! Hahaha. From the main island onwards we hiked for a while over a car road which connects several smaller islands. Though a hiking trail might have been more cosy, the views here were breathtaking. 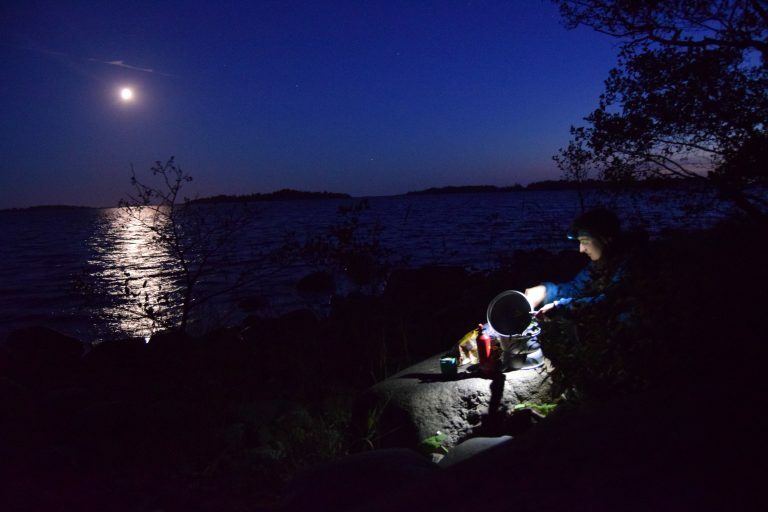 As the sun was setting we had to start looking for a place to put up our tent and we decided to do that a few islands further on a bigger one named “Nåtö”. To profit from the last rays of sunlight we tried to find a spot on the west coast of the island, which turned out to be quite challenging. The western side consisted of a forest area build on massive rocks and was not at all suitable to put tent pegs into the ground. Finally we found a spot which was sort of do-able and after building up the tent and making our beds we started cooking at the seaside. Though I have camped a lot, I had never camped ‘in the wild’ before and it felt like one big adventure. Besides being a great friend, Caitlin is also a real camping pro, which made me feel very secure – now at least one of us knew what we were doing, hihi. After a delicious meal we watched the sunset. Then we made a campfire and watched the moonset. And finally it was so nicely dark that we lay on big boulders at the seaside watching the Milky way. So beautiful. 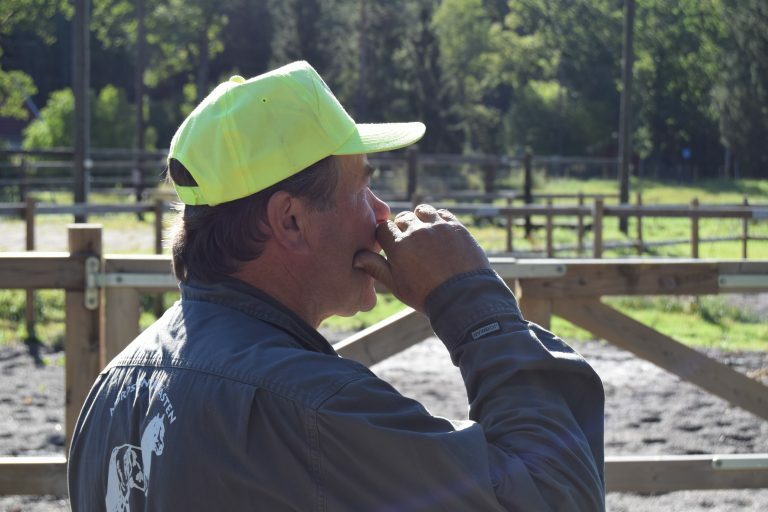 Beautiful, strong, eager and friendly, that is how Hans Sidbäck describes his working horses. Their jobs? Moving logs out of the forest, chopping grass in summer and plowing away snow in winter. And wedding transport – occasionally. Meet the North-Swedish drafthorses, some of the coolest guys in town. It was a great start of the horse-course, having a look at a horse business. Our class was divided into four groups, each visiting a different type of horse facility. Our group spent a couple of hours listening to Hans Sidbäck and his wife Raili, who own North-Swedish horses for breeding and draft purposes. 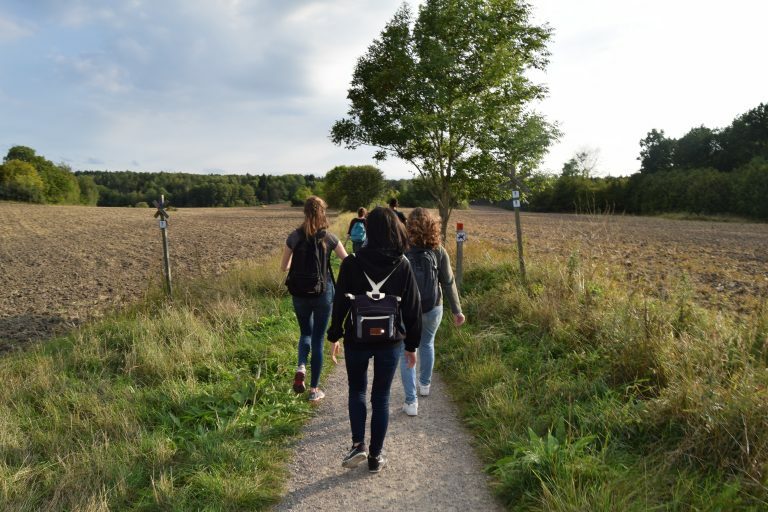 We were extremely lucky with the weather and strolled over the farm while we discussed many things, such as housing, feeding, equipment and horse education. Not only do they have a lot of experience working with draft horses, Hans is also famous for writing several books about forestry work with horses. 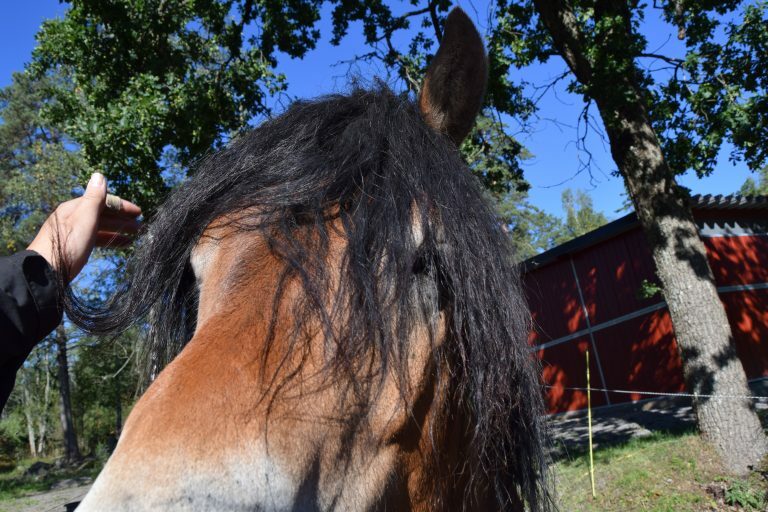 Hans and his horses are mainly hired by municipalities, such as the one of Uppsala. You would think that in ‘our modern time’ all the work is done by machines. At least, that was what I thought. I was happily surprised to hear that in some cases horses are just more suitable for the job compared to machines. For example if trees have been cut and need to be removed out of the forest a machine might be able to get the job done, but will make a mess of the tracks. Horses may take a little bit more time – and therefore money – but will leave very few traces, which is highly appreciated in forests close to communities. Hans and Raili have shown us not only their horses, but explained about the different machinery they use as well. Which is a lot, as every job seems to require different types of equipment. Also it was very impressive to learn how much weight two of these guys can move – up to 4000 kg(!) of timber if the terrain allows. It is always nice to hear someone speak with much passion for their animals and work, but it is even nicer when it teaches you many things you didn’t know about before. ps. one last goodbye kiss! Yesterday my roommate Oskar asked me if I wanted to go pick mushrooms with him. To me this is such a Swedish thing. Like, I don’t think any of my friends at home has ever asked me to go pick mushrooms together – nor do I think that any of them would be able to identify the edible ones. 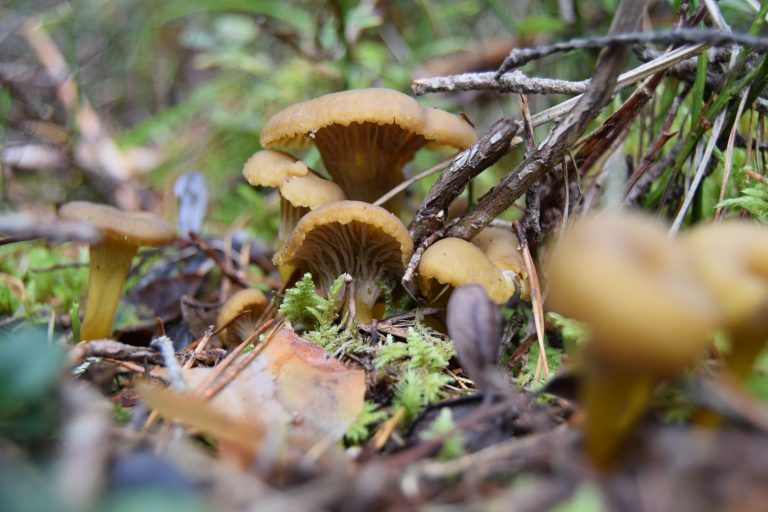 However going out into the forest to pick berries and mushrooms is a popular thing to do here and totally legal thanks to the ‘allemansrätten‘. This ‘every man’s rights’ gives every person the freedom to access any land as long as you don’t disturb or do any damage. You can even put your tent up wherever you fancy, but for one night only. It was stunningly beautiful. 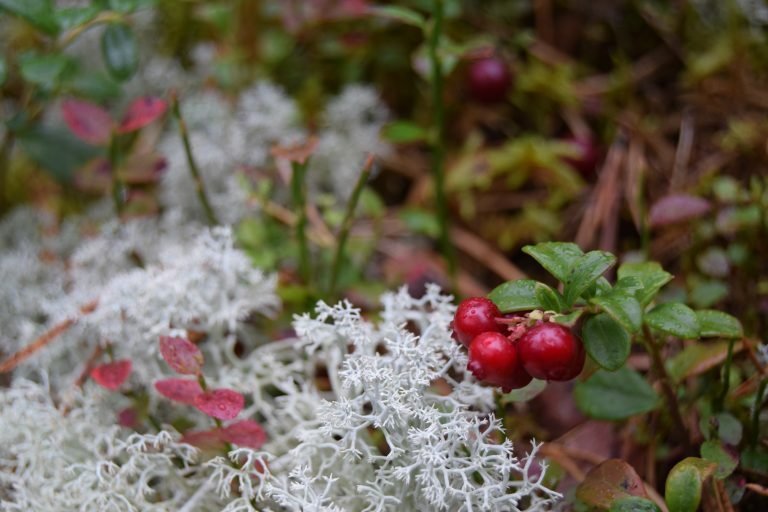 Summer is coming to an end and the mosses are having all different colours. There are still a lot of berries which brighten the lower layers up with their pretty blue and red colours. And there were so many mushrooms! In all shapes, sizes and colours. 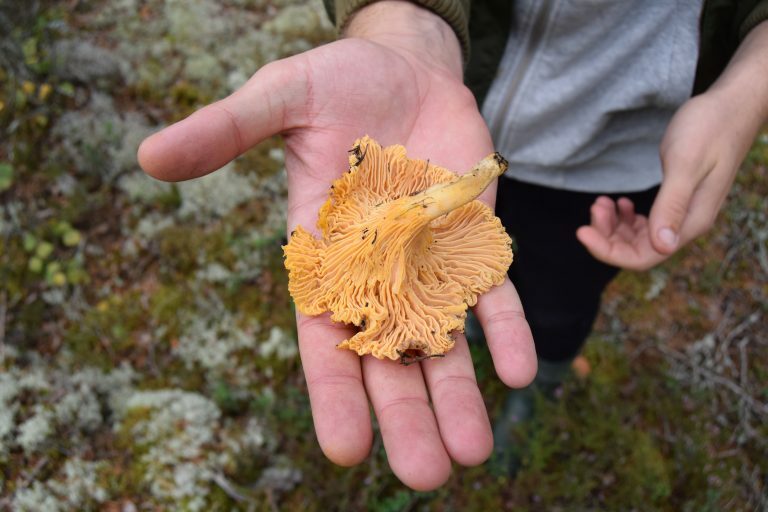 I felt very grateful to be with an experienced picker as honestly it took me a while to get the hang of not mixing the poisonous and edible species. Kind of important. Turns out most of the species aren’t edible at all, or we weren’t sure enough to take them. But still really pretty to look at. Finding the good ‘shrooms’ needs a trained eye. You often only see a tip of a shroom. Then you start to carefully dig away the mosses around it, which often gives view on a lot more of shroom! It’s like opening a present or finding treasure – extremely satisfying. And once you find one shroom there’s almost guaranteed to be many more around you, though maybe still hidden under the moss. You have to be a bit lucky as well of course but it was really often that we shouted at each other ‘oh, look, here, even more!’ – again and again. Swedes even have a word in their language that does not translate into anything in English, but kind of means ‘secret spot’. 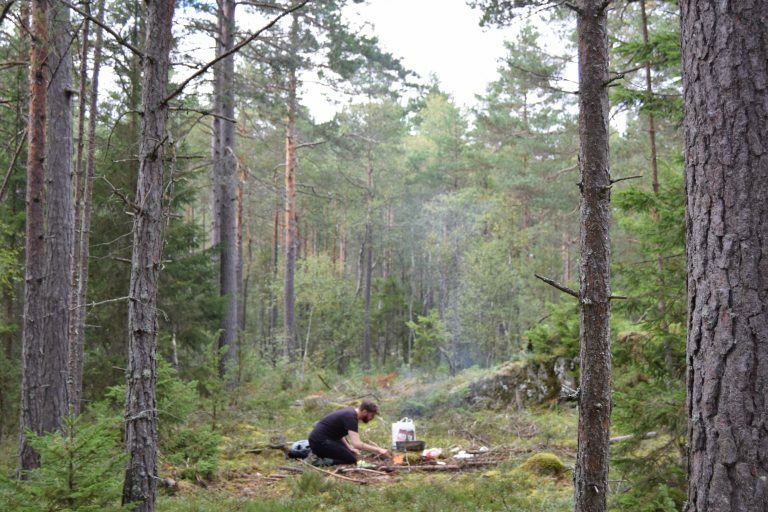 For example a well hidden place in the forest one person likes to come back too, for example to pick mushrooms. This is called smultronställe, and happens to be the favourite Swedish word of my friend Caitlin. When we had collected a satisfying harvest we decided on making a small fire. 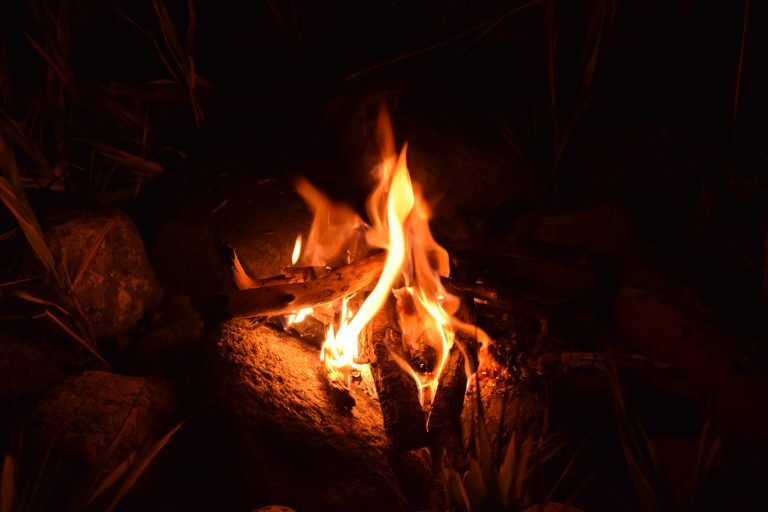 Building a fire is something I find pretty challenging anyway, but in a wet forest I would have had zero chances on my own. However Oskar knew several tricks and with the help of some special oily bark we soon had a cosy fireplace. We warmed some french bread and marshmallows while enjoying the beautiful spot we picked. At some point there were a lot of birds chirping around making the moment even more cheerful. After making sure the fire was out for real we started to head back. 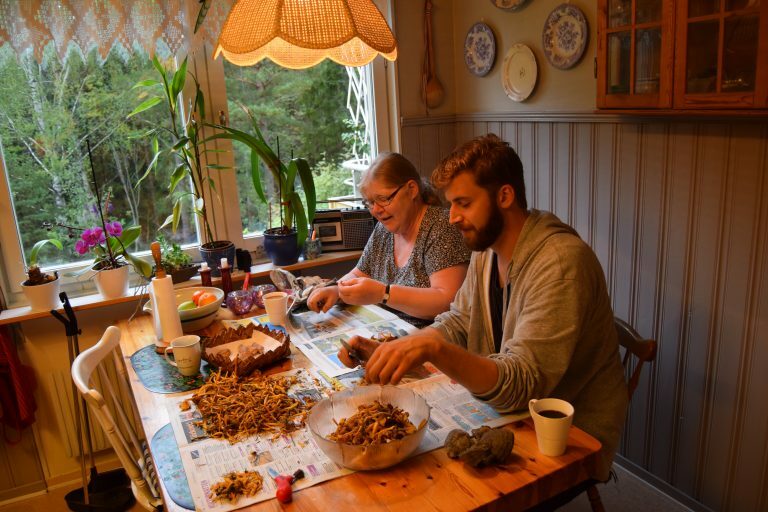 We went first to Oskar’s mother where we had a little fika while cleaning our harvest, which was really lovely. All together it has been a wonderful day and I think it’s a great thing about Sweden that you are so close to nature. You really can’t go far without running into a forest, haha! The main focus of the study of animal sciences is on farm animals, such as cows, chicken and pigs. These are production animals – responsible for a farmers income – whereas horses and pets are often just kept for hobby. It is the farming sector that provides most jobs related to animal science. Therefore you may doubt how much time you want to spent during your studies on pets, horses and wildlife. It may be fun, but… where will it lead to? Well. Think twice. Because nowadays there are actually more horses than cows around in Sweden. Who would have thought? The horse sector is responsible for a yearly turnover of about 5 billion euros. 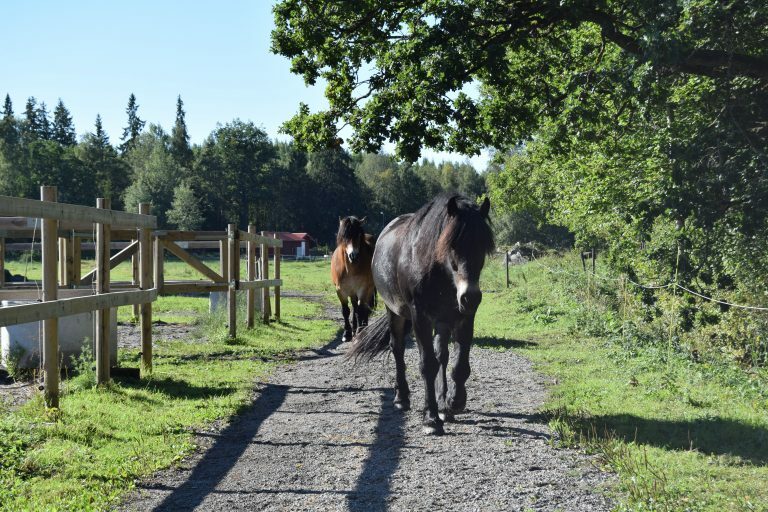 The estimated number of horses in Sweden was about 360.000 in 2015. This large amount of horses needs to be provided with many hectares of land for grazing and hay production, which has a large impact on both farming and the landscape. The first lecture of the course stretched the importance of the horse industry and I think it was really interesting to look at it from different perspectives. So far, one of the things I really like about the course is that we are having several excursions and projects scheduled. Guess I might change my mind about it when the first deadlines approach, haha. In the first week we already went to see some horse business which was both interesting and fun. I will tell you all about it in a next blog post!